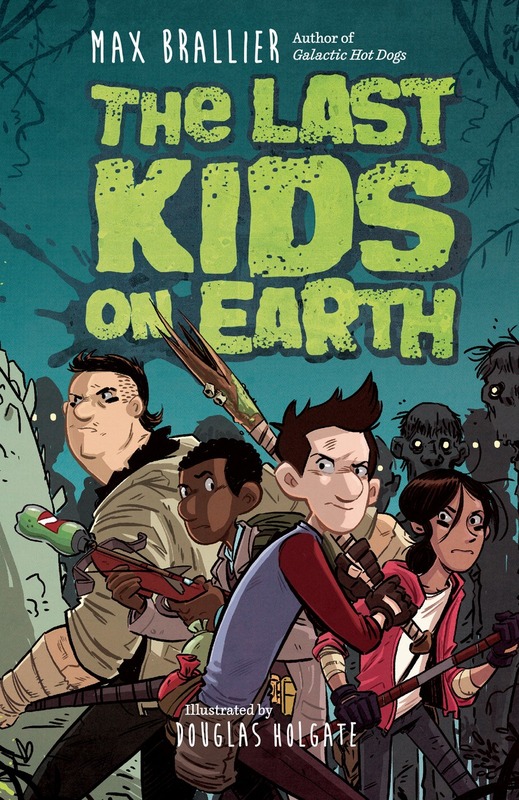 Bestselling author Max Brallier (Eerie Elementary and Galactic Hot Dogs) is at it again with The Last Kids On Earth, a thrilling post-apocalyptic graphic novel that’s as funny as it is spooky. Told in a mixture of text and black-and-white illustration, this book tells the tale of the monster apocalypse as 13 year old Jack Sullivan does his best to survive in the new world. 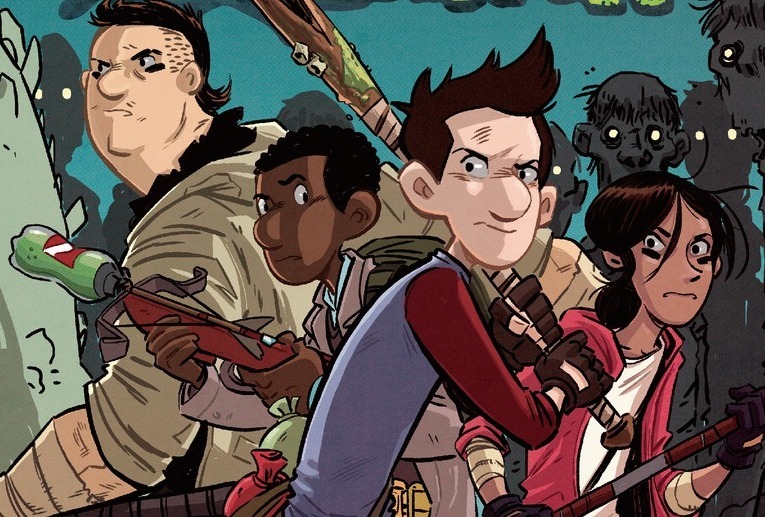 If you’re a fan of comic books, videogames, monsters and zombies, this book is for you. The Last Kids On Earth opens with Jack living in his tree house, which he has armed with catapults and a moat, not to mention videogames and an endless supply of Oreos and Mountain Dew scavenged from abandoned stores. But Jack alone is no match for the hoards of Zombies and Winged Wretches and Vine Thingies, and especially not for the eerily intelligent monster known only as Blarg. So Jack builds a team: his dorky best friend, Quint; the reformed middle school bully, Dirk; Jack’s loyal pet monster, Rover; and his crush, June. With their help, Jack will try to to slay Blarg, and achieve the ultimate Feat of Apocalyptic Success. I got the chance to chat with author Max Brallier about the new series (yes, there will be more books in this saga) earlier this week. Scroll down to see what he had to say about monsters, videogames and more. What can you tell us about The Last Kids On Earth? I sometimes describe it as The Walking Dead with giant monsters and zero adults. It’s about a barely heroic hero, Jack Sullivan, and his band of buddies, who appear to be the only people still alive after the Monster Apocalypse. So basically, there are zombies and humungo, scary monsters everywhere. Jack has a tree house, which he arms to the teeth with catapults, zip-lines, rocket launchers, and all that good stuff – and an endless supply of snacks and soda scavenged from abandoned stores and houses. One particularly big and particularly foul monster named Blarg is hunting Jack – so Jack’s trying to say alive while searching for his missing love, June del Toro (who barely even know he exists). Also, there are pet monsters, videogame-style achievements, weapons of power, and all that good stuff. And it’s told in a really perfect mix of text and illustration. The illustrations and diagrams are done by monster master Doug Holgate, and they’re absolutely killer. It’s funny, scary, adventure-packed and full of over-the-top action. That’s what I can tell you about the Last Kids on Earth. Most of your writing has that geeky, fantastical vibe to it. Is this book the same? Definitely! Jack and his best friend Quint are huge movie, TV, superhero geeks – and they can’t stop referencing things that they love. There’s one scene where they’re about to be crushed and devoured by a “zombie ball” – and all they can talk about is how much it’s like Indiana Jones and how cool that is. Early on, Jack describes his tree fort as “better-defended than Fort Knox, Stark Tower, and the X-Mansion combined.” So yeah, definitely a geeky, fantastical vibe. What made you want to write about monsters? I’m trying to think if I’ve written any fiction that wasn’t about monsters – and, man, I think the answer is no. I’ve just always loved monsters – particularly big ones. But I’ve always felt like big, giant monsters are something that work best in film. So that’s part of the reason I wanted this book to have lots of illustrations – I wanted the reader to actually see these big brutes. And when I realized just how well Doug Holgate draws monsters – I just started adding more and more and more beasties. Also, I’ve written a lot about zombies in the past – so I wanted to do that in a different way, here. In this book, the zombies are more of an annoyance – like dangerous pests. The real threats are the big monsters: Blarg, Winged Wretches, Dozers, and other giant wicked brutes. Halloween is coming up, what’s the scare level from 1-10? So that’s really how I approached it: create a world full of deadly, man-eating monsters – and see how our heroes survive. I’m busy! It’s a rare thing for a writer to be really, really busy – so I’m partly busy just being really thankful for being that busy. 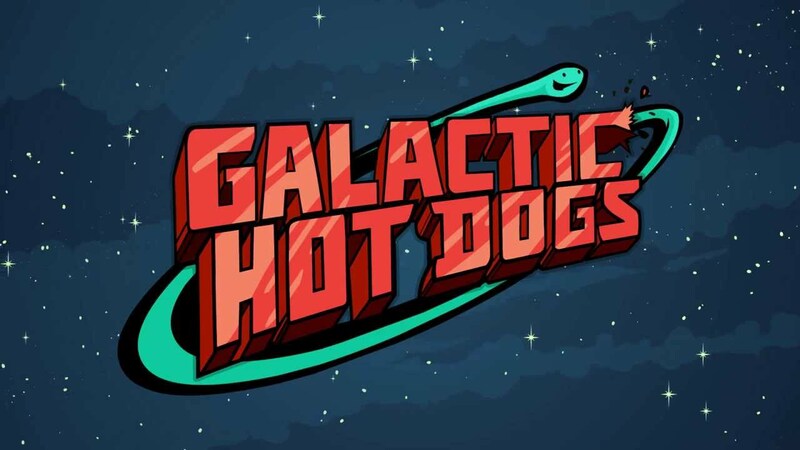 The next entry in my Galactic Hot Dogs series comes out Spring, 2016 – and I’m in the process of writing the third book in that series. I’m having a blast putting Cosmoe and his crew in all sorts of horrible situations and watching them trying to get out. I just finished writing The Last Kids on Earth #2, and Doug Holgate is now diving into the illustrations. I’ve seen a few early sketches and they’re amazing – big monsters doing big monster things. I write the Eerie Elementary series under the penname Jack Chabert, and I’ve got a bunch more of those coming. The third book in the series comes out in January, 2016. And then I’ve got three more to write! Those are an absolute blast. Besides that? Playing videogames, riding my bike around the city and trying not to die while doing it, and doing some traveling. 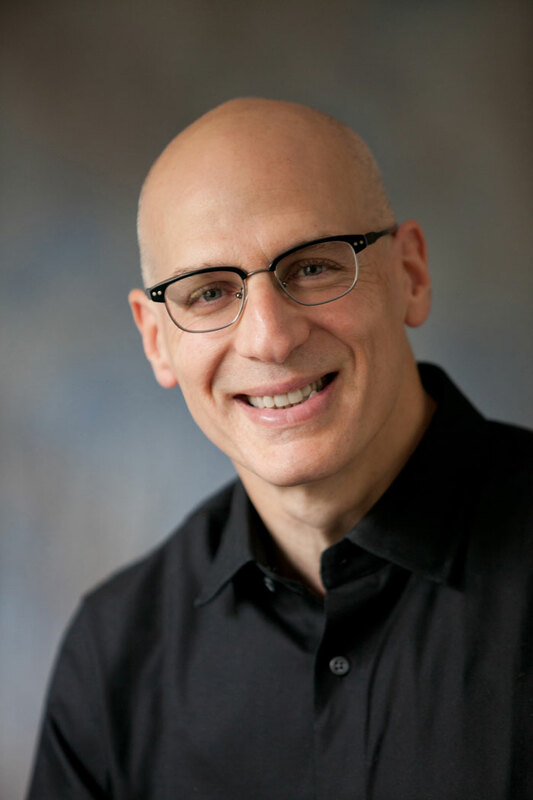 This entry was posted in Author Q&A, Book Reviews, News & Reviews and tagged spotlight on October 14, 2015 by Clay Swartz. Ranger’s Apprentice fans rejoice! 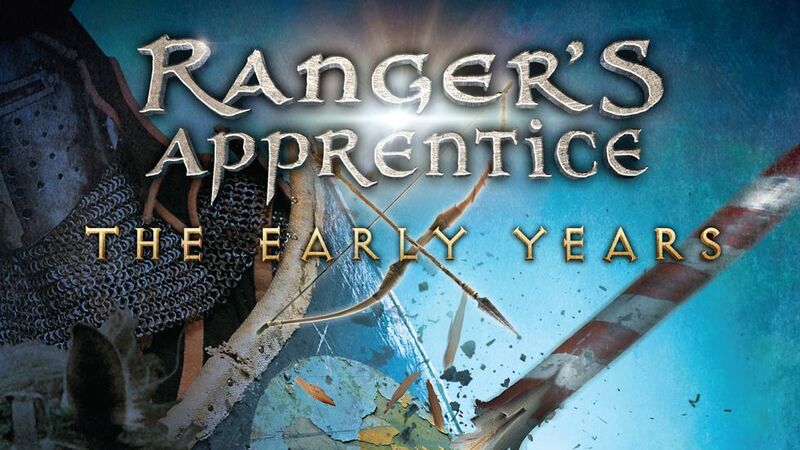 Bestselling author John Flanagan is returning to the world of Ranger’s Apprentice with a new prequel series, Ranger’s Apprentice: The Early Years. It brings readers to a time before Will was an apprentice, and lays the groundwork for the epic battles that are brewing when Ranger’s Apprentice starts. In the first book in this new series, The Tournament at Gorlan (in stores now), readers will discover the beginnings of one of the original series’ best characters — Will’s bristly, sarcastically funny mentor, Halt. Not yet a Ranger himself, young Halt bands together with Ranger Crowley to take on a scheming Baron who is out to dismantle the Ranger’s Corps, oust the current king, and take the throne for himself. Earlier this week, I got the chance to chat with John Flanagan about his new series. So, scroll down to see what he had to say. What can you tell us about The Tournament at Gorlan? It’s set fifteen to twenty years before The Ruins of Gorlan (Book 1 in the Ranger’s Apprentice series) and it describes how Halt and Crowley first met, then revived the Ranger Corps. In the process, they came into conflict with Morgarath, who was trying to usurp the throne. Lots of action. Lots of humour. Lots of excitement. Had you always planned on writing an origin story for Ranger’s Apprentice? No. But over the past few years, I’ve been asked about how Halt and Crowley met and reformed the corps, and who their mentor was. Those questions gave me the idea. It’s been great developing the growing relationship between Halt and Crowley. They’re a great pair – Halt is dour and serious, Crowley is always joking and whistling. 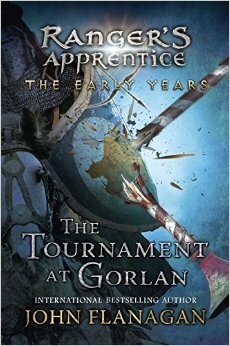 The Tournament at Gorlan seems to come full circle with the first Ranger’s Apprentice book. What else can fans of that series look forward to? Meeting a young King Duncan — a young Halt and Crowley of course. Meeting a dozen new rangers, who form the core of the new corps, if you like. And, most important, meeting Pritchard, a ranger who taught both Halt and Crowley their skills. Will there be more book in this series? At least another book, taking us up to the Battle of Hackham Heath, when Morgarath is defeated and driven back into the mountains. And maybe a third book, expanding on some of the stories that I’ve hinted at — the battle with a witch that’s mentioned in The Sorcerer in the North, the story of the giant Crowley defeated and chained to a millstone, and Halt’s mission to steal horses from the Temujai. Maybe three or four long short stories. What’s the status with the next Brotherband book? I’ve just delivered the sixth Brotherband book, set in a strange new land to the west that bears a strong resemblance to the USA. That should come out in mid-2016. This entry was posted in Author Q&A and tagged spotlight on October 6, 2015 by Clay Swartz. 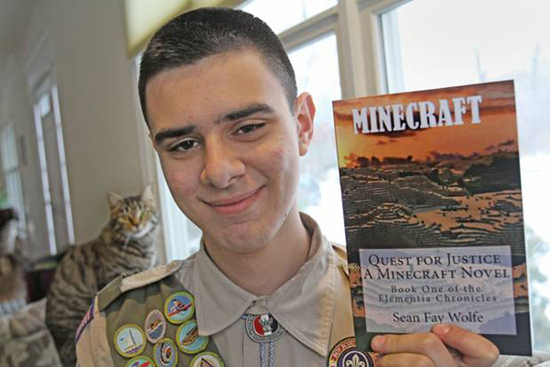 Sean Fay Wolfe, an Eagle Scout from Troop 1 in Kingston, Rhode Island, recently published his first novel, Minecraft: Quest for Justice, an action-adventure novel set in the world of the popular videogame Minecraft. The novel is the first in a series of books called the Elementia Chronicles. It tells the story of a player named Stan who has never played Minecraft before. He learns how to play the game while making many new friends, but he soon realizes that the older players of the game look down upon the newer players as second-class citizens. When Stan decides to take a stand against this injustice, he ends up on a quest to lead an uprising against the prejudiced older players and their tyrannical King. Sean took some time out of his busy schedule to chat about his book, Scouting and computer programming. BZ: What can you tell us about the Elementia Chronicles ? The Elementia Chronicles is a trilogy that takes place on a Minecraft server called Elementia. The first book, Quest for Justice, tells the story of a player named Stan who has never played the game before. He learns how to play the game while making many new friends, but he soon realizes that the older players of the game look down upon the newer players as second-class citizens. When Stan decides to take a stand against this injustice, he ends up on a quest to lead an uprising against the prejudiced older players and their tyrannical King. A summary of Books 2 and 3 of the trilogy can be found on my website www.sfaywolfe.com. BZ: Where did you get the idea? I got the idea from playing Minecraft on online servers. As I played, it occurred to me that since the game of Minecraft really has no plot or mandatory goals, and is just an open world where players can interact with the environment and each other, it would be an interesting setting for a story. While the overall story of the book is made up, many character interactions and dialogue are based on what I’ve experienced on the servers. I started writing Quest for Justice in 9th grade. BZ: Are you a big Minecraft fan? Yes, I am a huge Minecraft fan. I’ve been playing since the official release of the game in late 2011, and when I first played, I was immediately hooked. While I don’t get to play as often as I used to nowadays, I still really enjoy it, and it is my personal favorite videogame. BZ: How long have you been writing? I have been writing short stories for as long as I can remember. BZ: How did your days in Scouting help you with your writing. Since publishing the book, I’ve been invited to many schools to give talks on my writing process. My experience as a Den Chief has been instrumental in teaching me how to talk to students in an engaging way. BZ: What’s up next for you? My next immediate goal is to publish The Noctem Ascension, the second book of the Elementia Chronicles, in January 2015. Then finish the trilogy with Herobrine’s Message, sometime in late 2015. After that I have dozens other ideas that I would like to write about, probably starting with a standalone novel called The Legacy of the White Katana. I would love to be an author full time, and I plan to go to college to study creative writing and computer programming. BZ: Aside from writing, what do you do in your free time? I have many interests in my free time. I love computer programming, and I have programmed many popular games on the online programming environment Scratch (that’s actually where my self-publishing company, Diamond Axe Studios, originated). I also enjoy drama club, working out, music and, of course, Boy Scouts. BZ: Who are some of your favorite authors/books? I have too many favorite books to count, although if I had to pick, I’d probably say Harry Potter. While I was writing, I found J. K. Rowling to be a big inspiration to me, as my writing style is similar to hers. BZ: How did you get started writing? I first got excited about creative writing in first grade, when my teacher, Mrs. Kidd, had us write short stories all the time. I remember having a lot of fun coming up with new stories. Buy a copy of Minecraft:Quest for Justice here. This entry was posted in Author Q&A and tagged Daily on November 21, 2014 by Clay Swartz. 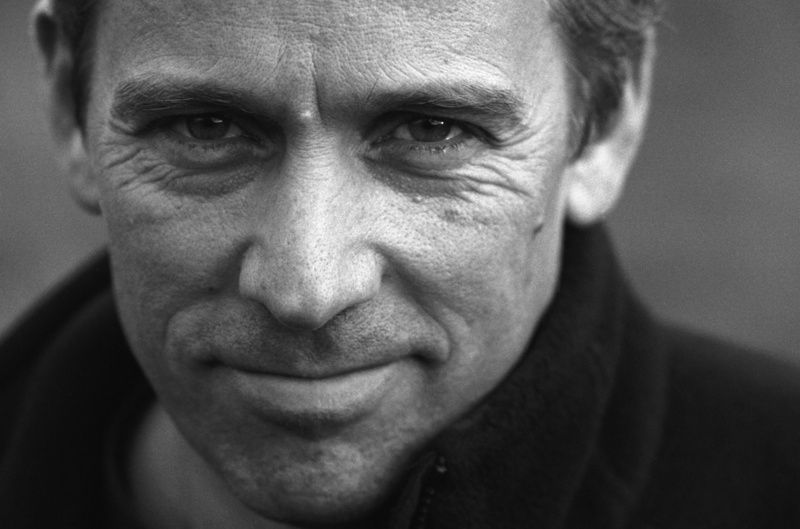 Meet author Jasper Fforde (no — that’s not a typo!). If you like magic, hilarity and crazy action, you might want to give The Eye of Zoltar a look. It’s the third installment in Fforde’s Chronicles of Kazam series. We asked him to tell us about the book — and a whole lot more. What advice would you give to aspiring young authors? Write, and write NOW. Think long term. Writing is a skill to be learned, not a gift that will ooze out effortlessly. It may take 10 years to get published, and that 10 years needs to start as soon as possible. The one piece of advice I would have given the younger Jasper would have been to start writing earlier. I began when I was 27, and was published at 39, seven novels later. Listen to your aged relatives. Listen to other people’s aged relatives. Ask questions. Find out about stuff — any stuff. World affairs, history. BE KNOWLEDGEABLE. Know the difference (and want to know the difference) between “dog’s” and “dogs” and “there” and “their” and “lesser” and “fewer.” If you’re old enough, get a part-time job somewhere that has a lot of people of very different backgrounds — a fast food joint is a good start, or Saturday mornings in a shoe shop or hardware store — and just listen to people’s lives. Take notes about stuff, keep a diary, try to figure out why people do the strange stuff they do. Read, watch TV, go to the theatre, see movies. Converse. Do stuff. But most of all, write. What can you tell us about your latest book, The Eye of Zoltar? The Eye of Zoltar is the third in the Chronicles of Kazam series and is set in the Ununited Kingdoms, a modern-day world that mixes cars, TVs, magic, despotic kings and dragons. Jennifer Strange works for Kazam, a company that rents out wizards to do mundane jobs like loft conversions and unblocking drains. In an earlier book she defeated a powerful wizard named Shandar who was attempting to rid the world of Dragons, and now he’s back to try again. To stop him, they need a Magical Jewel named “The Eye of Zoltar” which is apparently hidden in the land next door — the Cambrian Empire, a lawless, dangerous place where tourists flock to engage in something called “Jeopardy Tourism.” With a princess disguised as a handmaiden, a wizard who can only do magic by depleting his own life force and a rubber dragon named Colin, Jennifer Strange must go in search of a Sky Pirate, the legendary graveyard of the winged serpents known as Leviathans, and battle Railway Companies, flesh-eating slugs and unstoppable Hollow Men. It’s a lot of fun. Most of the books you’ve written have been for an adult audience. What sort of experience has it been for you to write for a youth audience? Children can and do understand very complex ideas: Betrayal, loss, happiness, camaraderie, jeopardy, danger, unfairness. Normal school life, in fact. I tend to write the same but make the protagonists younger and cut down on the number of subplots and allusion, which is something only really gained by age. A story for children needs to crack along at a fair pace, too — no weighty exposition. They get bored far more easily — and will have no qualms in telling you so. Your books are filled with absurdist humor. From where do you draw your inspiration? Everywhere. To take an example from The Eye of Zoltar, I was tracing Jennifer’s journey on a map in present day Wales, and it takes them past a little town named Llangurig. I did a quick Google search to see if there was anything remarkable I could use, and there was — the railway to Llangurig only ever had one train before the line was pulled up; something to do with a contractual obligation. The entire “Battling Railway Companies” chapter and subplot grew out of this one fact. I take a small nugget of information, then simply exaggerate, and add human greed and contrariness. Usually works! Besides your own books, what are the top five books that you would recommend to young readers? The Little Prince by Antoine de St-Exupéry. A warm, lyrical tale about a prince who lives on his own planet, and about his journey to earth to try and find answers about life. Also warns about the danger of Baobab trees, and how to draw pictures of snakes eating elephants. Fantastic Mr Fox by Roald Dahl. Or anything else by him, really. Always engaging, and always a bit subversive. Great fun. Treasure Island by Robert Louis Stevenson. Rollicking tale of pirates, evildoing, treasure and life at sea. 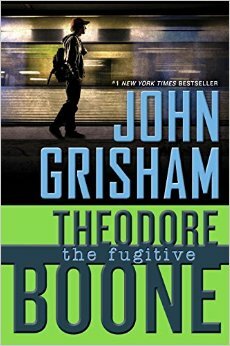 Unputdownable from almost the very first word. “Long John” Silver remains the best villain in children’s fiction, hands down. Holes by Louis Sachar. Delightfully surreal stuff from beginning to end. Stig of the Dump by Clive King. Barney discovers that living in the chalk pit at the bottom of the garden is Stig, a caveman. Despite not having a common language, a strong friendship develops. Random Question: We understand you’re into aviation. What can you tell us about your interest in it? My dad was a pilot during World War II, and although he never flew after 1945, I was always fascinated by it. I’ve had a pilot’s license since 1985, and own and fly a vintage aircraft built in Kansas in 1940. I’ve even visited the site of the old factory (now a GM truck engine factory) and will happily talk about airplanes for hours — but I don’t, because it’s hideously boring if you’re not interested. Flying. It’s the reason birds sing. This entry was posted in Author Q&A and tagged Slider on September 9, 2014 by Clay Swartz. 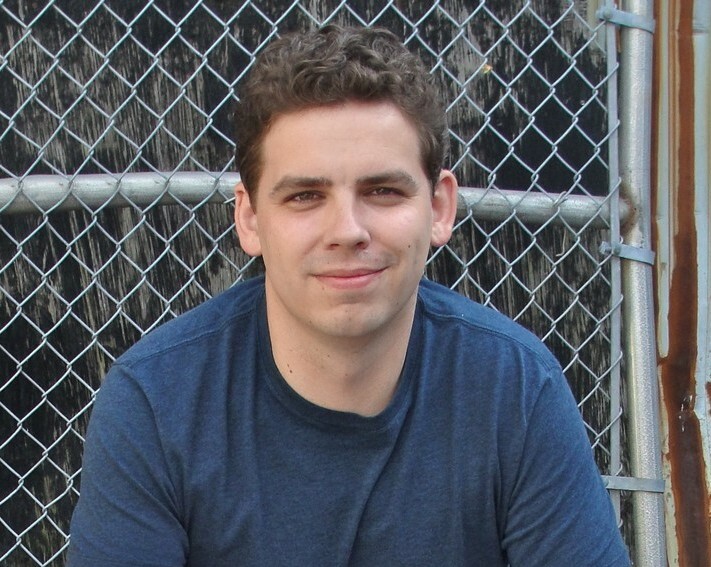 Matthew J. Kirby is the bestselling author of adventure books like The Clockwork Three, Icefall and The Infinity Ring: Cave of Wonders. His newest book, The Quantum League, is a fast-paced, magical mystery that offers thrills, chills and shocking twists. He took a moment away from his busy writing schedule to talk to BL about books, Batman and Boy Scouts. BL: What can you tell us about The Quantum League? M.J.K. : Spell Robbers is the first book in The Quantum League trilogy. It’s the story of Ben and his best friend, Peter. Together, they’re drafted into the Quantum League, a secret police force of magicians called Actuators in the book. During their training to become agents of this organization, Ben and Peter learn there’s a whole underworld of criminal wizards out there, and it’s up to the Quantum League to stop them. BL: Where did the idea come from? M.J.K. : The Quantum League series emerged out of a couple of ideas. The first is that I wanted to try my hand at writing something fast-paced, with twists and turns, double-crosses, lots of action — a page-turner. The second was a love for heist stories and crime sagas. But I wanted to take that kind of story in a new direction, so I turned to fantasy for some inspiration and came up with a system of magic rooted in science. So that brought me to The Quantum League, a magical crime saga. BL: How is this story different from your other books? M.J.K. : The biggest difference is the fact that it’s a series. I’ve written my other books as stand-alone stories, but with The Quantum League, I had more time and space to follow these characters and their adventures from book to book. I had the opportunity to plan out this large, sweeping story. I think the other difference is just the pacing and the type of action-oriented story it is. BL: What’s up next for you? Book 2, or something else first? M.J.K. : I just wrapped up writing Book 2, which takes Ben, Peter and Sasha to a slightly darker, more dangerous place. I don’t want to spoil it, but I’m happy with how it turned out. BL: What are some of your favorite books for kids? M.J.K. : As a kid, I loved the fantasy of Ursula K. Le Guin, Lloyd Alexander, Susan Cooper, the historical fiction of Elizabeth George Speare, and Natalie Babbitt’s stories, too. More recent favorite authors include Philip Pullman, Neil Gaiman, M.T. Anderson and so many others. It’s impossible to narrow it down any more than that. BL: Do you have a favorite superhero? M.J.K. : Batman. Totally Batman. I read Batman comics when I was a kid, and I’ve always loved the fact that he’s just a normal guy who worked HARD to become the superhero he is. He didn’t have any powers handed to him. He created his own abilities, through his determination. That always inspired me. BL: You were a Boy Scout, right? Any cool Scouting memories? M.J.K. : I was a Boy Scout, although I have to admit I didn’t earn my Eagle. But I have great memories from Scout camps and other merit badge activities. This one time, we met an archaeologist on the beach, and he showed us how to look through the sand for things. I found an ancient shark tooth that I still have in a box somewhere. BL: Finally, what advice can you give to young readers who may be interested in a career in writing? M.J.K. : The best advice I can give is two-fold, and I’m sure your readers have heard it before. The first is to read, read, read. Read everything you can get your hands on, and try not to limit yourself to one kind of genre or book. Read widely. The other part is to write every day. It doesn’t have to be much, but just write something. Get in that daily habit now. The Quantum League is out now. You can get it HERE. This entry was posted in Author Q&A, News & Reviews and tagged Slider on March 7, 2014 by pmurphey. He answered readers’ questions! Watch Boys’ Life‘s webcast with Richard Paul Evans, author of the Michael Vey series HERE. This entry was posted in Author Q&A, News & Reviews and tagged Slider on October 15, 2013 by pmurphey. 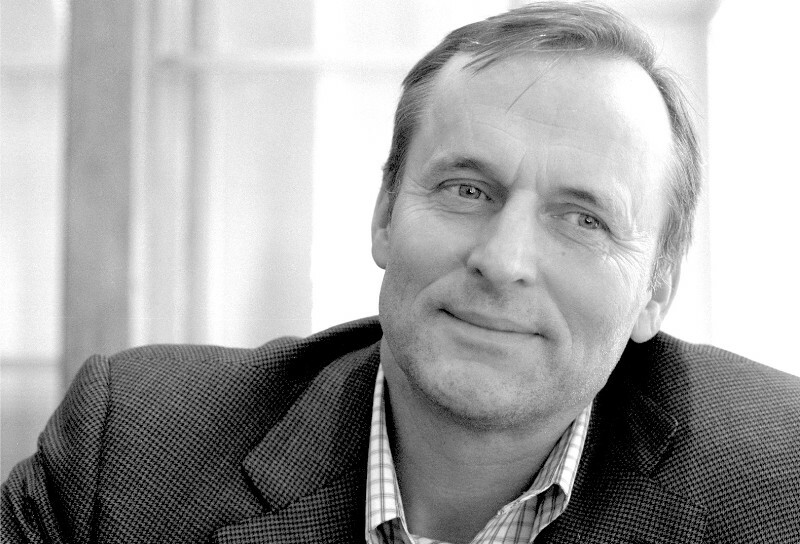 Cool Fact: He’s a #1 New York Times and USA Today best-selling author. Were you ever a Boy Scout? If so, has Scouting influenced your career? I participated in Scouts all growing up. I got my Arrow of Light as a Cub Scout and later achieved the rank of Eagle. Scouting has significantly helped my career as a professional writer. To create stories, I need details, and my experiences in Scouting helped me learn at least a little about a wide variety of things. I hiked, camped, and shot guns and bows. I navigated complicated obstacle courses. I learned about boating, first aid and lifesaving. I even spent the night in the woods with an improvised shelter. All of those experiences provide details I need when characters encounter similar situations. Tell us a little about your newest book, Spirit Animals Book 1: Wild Born. Like all of my novels so far, Spirit Animals is a fantasy. Readers will travel to the world of Erdas, where people can form lifelong bonds with animals. When those relationships become strong, people can share certain powers and abilities with their animal companion. We’ll follow four kids who must use their bonds with four powerful animals to help save their world. Like The 39 Clues and Infinity Ring series, Spirit Animals is a book series that also includes an online game. Why did you want to get involved with this kind of series? I like that Spirit Animals allows readers multiple ways to explore the world of Erdas. If they read the book and like the idea of having a spirit animal, they can go online, get their own spirit animal and have their own adventures. It was really fun to see many of my characters and multiple places in the book brought to life as a videogame. Besides your own books, what are the top five books you would recommend to young readers? Random Question: What is your favorite videogame and why? Since eighth grade I’ve loved the Zelda games. I like the fantasy feel, and I enjoy the mix of exploration, combat and puzzle solving. This entry was posted in Author Q&A, News & Reviews on September 10, 2013 by pmurphey. Make writing a part of your life. It shouldn’t be a once-in-a-blue-moon activity. It needs to be something you do almost every day, whether it’s blogging or keeping a diary, journal, or writer’s notebook. It can also be none of those things. I don’t do any of that, but I’ve always got a book in the works. Your Swindle book series is being turned into a TV movie. What’s it like for you to see your work on screen? It’s really cool, but also a little eerie. We’re a big Nickelodeon house, so the actors in Swindle seem like extended family to me. Not only have my characters come to life, but they’ve whooshed into being as people I’ve already known for years! How were you involved with the movie’s production? In a way, I’ve been watching the TV movie grow and take shape ever since Swindle first came out. So it’s almost as if I’ve been building the series with later books like Hideout step-by-step alongside the development of the movie. What can you tell us about your latest book, The Hypnotists? It’s the story of a regular kid who suddenly discovers he’s the greatest natural hypnotist in history. It’s the first time I’ve ever tackled something paranormal, like mind control. How would it feel to be able to make anyone do exactly what you want them to? How would you use that power? It would be a lot of fun at first, but it’s also an enormous responsibility. In the end, my main character comes to realize that the fate of the entire world might be in his hands. You’re one of the authors who has contributed to the wildly successful The 39 Clues series. How is writing for this series — with its unique game cards and online interaction with readers — different from writing your other books? I love being a 39 Clues author, but it certainly gets complicated at times, especially when you’re writing one of the later books in a series. You have to be really careful that your details match the storyline that’s happened so far. I actually think the multi-author style brings out the best in us as writers. We all try to outdo each other, and that creates a series that’s heart-stoppingly exciting from start to finish. Random Question: What is your favorite outdoor activity? I love to hike and rock scramble, but lately I’ve been playing a lot of street hockey with my kids. I think this is a throwback to my childhood in Canada, where some form of hockey was played 12 months a year, in any kind of weather. 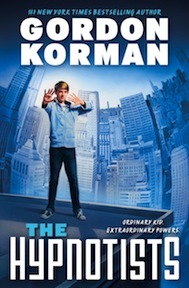 CHECK IT OUT: Here’s a preview of the new Nickelodeon TV movie based on Korman’s book Swindle. This entry was posted in Author Q&A, News & Reviews on August 2, 2013 by pmurphey.